Bahamas cruises from Miami are pretty much available all year. This comes as no surprise, since the Bahamaian islands are so close to the southern-most tip of Florida. To top that off, the weather in the Bahamas is quite inviting to tourists every month of the year. 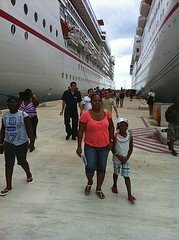 At the time of writing this webpage, there are four major cruise lines which offer cruises to the Bahamas. You will know these names, after I list them, because they are among the top Caribbean cruise lines. In alphabetical order, the four cruise companies sailing to the Bahamas are Carnival Cruise Line, Disney Cruises, Norwegian Cruise Line and Royal Caribbean International. How many days would you like to spend in the Bahamas? A cruise to the Bahamas will generally get you to one or more islands. Currently, you will be able to book a 2-night, 3-night or 4-night Bahamas cruise. 4. Royal Caribbean offers 3-night and 4-night cruises to the Bahamas. Nassau, Bahamas is quite the tourist-pull for people all over the world. Consequently, any cruise to the Bahamaian islands will almost always call at Nassau. In addition to this popular port of call, there is also Freeport, Bahamas. Finally, depending on the length of the cruise, your cruise will make a call at a private Bahamaian island - a cruise resort owned by the respective cruise line. Carnival cruises will most likely call at Half Moon Cay; Disney's at Castaway Cay; Norwegian's at Great Stirrup Cay; and Royal Caribbean and Coco Cay. While you will find some variations in port calls, 3-night cruises generally make one or two stops and 4-night cruises can make as many as three stops. Note that your Bahamas cruise itinerary may include a call at Key West, Florida. It is a fact that shorter cruises cost less than longer ones. Also, cruises only to the Bahamas tend to be less expensive than those to the Eastern or Western Caribbean. 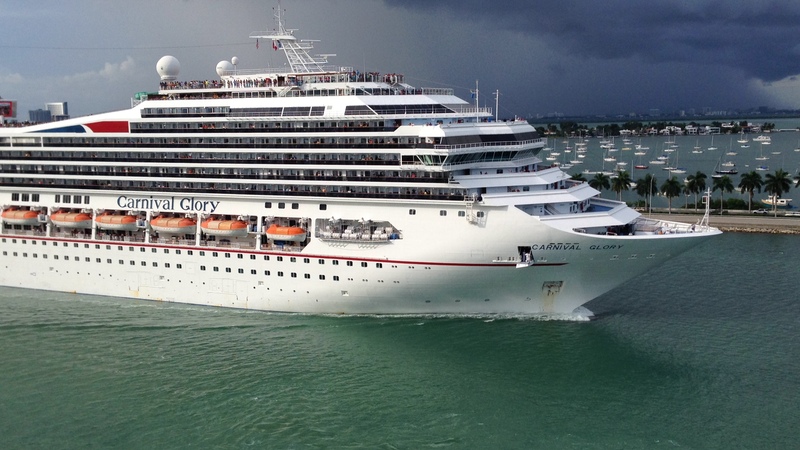 As it pertains to cheap Bahamas cruises, your best chance at great vacation prices will be aboard a Carnival cruise. Dollar for dollar, Carnival tends to offer the best cruise rates and your family will enjoy your cruise getaway aboard their "Fun Ships." Something else to consider for your family is the package offered by Norwegian Cruise Line. This cruise company offers an all-inclusive option aboard its cruise ship from Miami to the Bahamas. This my serve your family well. While Carnival generally offers the lowest cruise prices, the all-inclusive Bahamas cruise option with Norwegian may prove a big win for families. 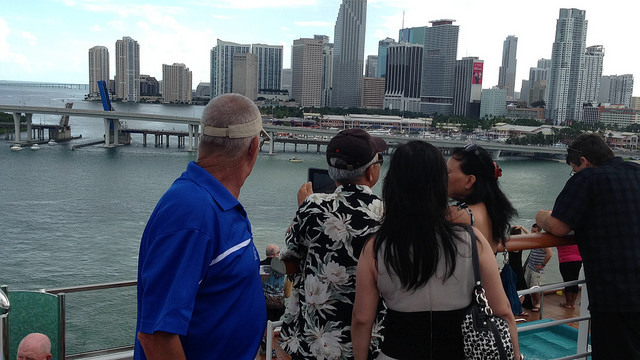 Now that you have the information, it is time to book your Bahamas cruise from Miami. Get with your travel consultant or send us a cruise quote and we will help you. Furthermore, you may visit our booking site, PetesTravel.com, to book your own cruise. I know that you will enjoy your cruise to the Bahamas.